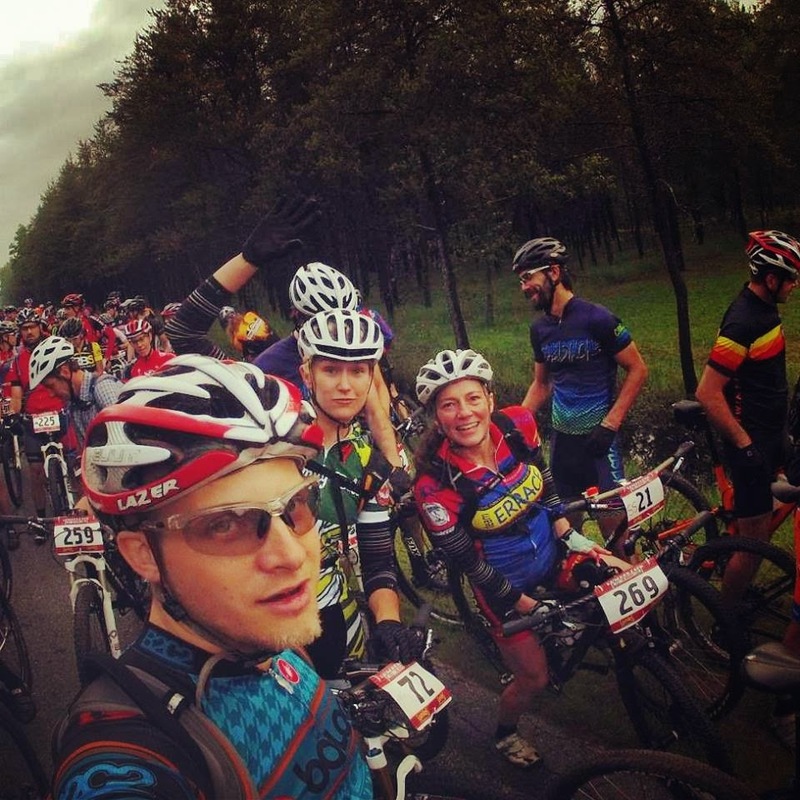 The best explanation for why this post didn't get written until Friday is that when you do a fast, flat, singletrack 100-miler, instead of being burnt out on bikes the following week, you end up STOKED and have to ride every day. In related news, expect a post with the phrase "inexplicably tired" to appear here soon. 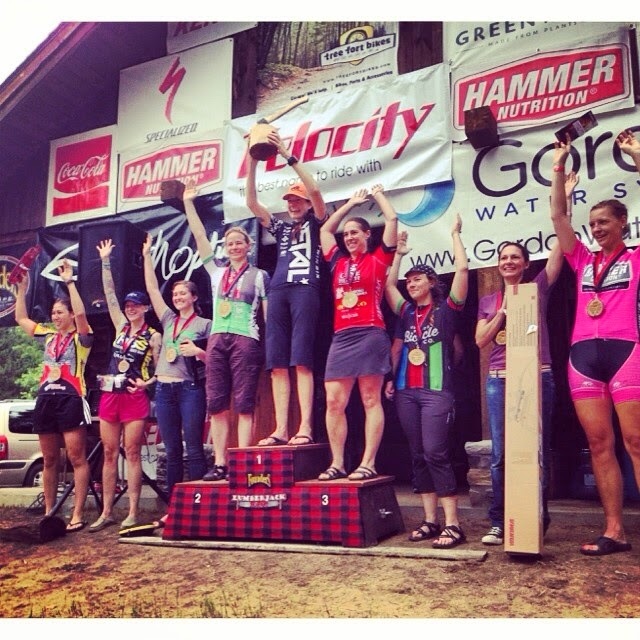 After last year's hundred miler, the gravel road climbing championships of the world, Christin and I picked the Lumberjack 100 because it was the exact opposite -- 90 miles of singletrack and only 6000 feet of climbing. The only problem with the 'jack is that it's in Michigan, and not even the close part of Michigan. That's okay, though, because the drive is only 12 hours. Even though I swore I'd never drive to the Midwest again after the 18-hour solo trip from Madison to Boston I did two years ago... this is different. Somehow. We carpooled with Jesse Q, and I promptly made us half an hour late by forgetting my suitcase, only to be one-upped by Jesse forgetting his passport and making us ninety minutes further late. Did I say the drive was 12 hours? Because I meant 14, apparently. And when I said "12" I was actually rounding google's "12:45" estimate down. And border crossings take zero time, right? And no one ever has to stop for gas or food or the bathroom? This post isn't going to be about driving, I swear, but you get the idea. We needed a place to stay near Buffalo on the way out, so I asked twitter because hey, who knows? And a guy I've never met (but tweeted at me a few times!) referred me to a guy I'd truly never met, and he turned out to not be a serial killer, so we crashed on his futon. His name was Brenden, go to his cross race in Buffalo for me. I should note that Jesse went out to the bar until 3:30 with Brenden and friends that evening, because Jesse is tougher than you. ANYWAY at some point we stopped driving and ended up in Michigan and the course was exactly as speeder-bikes-on-Endor* as I had hoped. 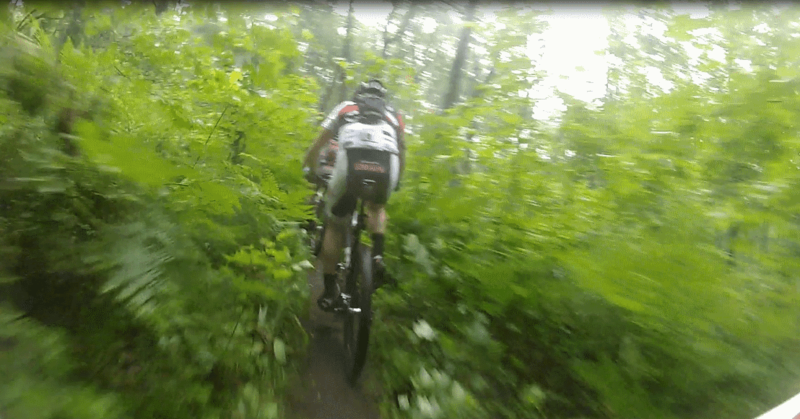 Christian Tanguay ended up riding 100 miles in 6:37, averaging 15 mph, on singletrack. Go try to find a trail in New England you can average 15 mph on for thirty minutes, I dare you. If you try to suggest that riding singletrack "that easy" for 100 miles might be unfun, that's how I know you're one of those "theoretical mountain bike riders" instead of actual mountain bikers. "Raise your hand if you want to ride bikes all day!" 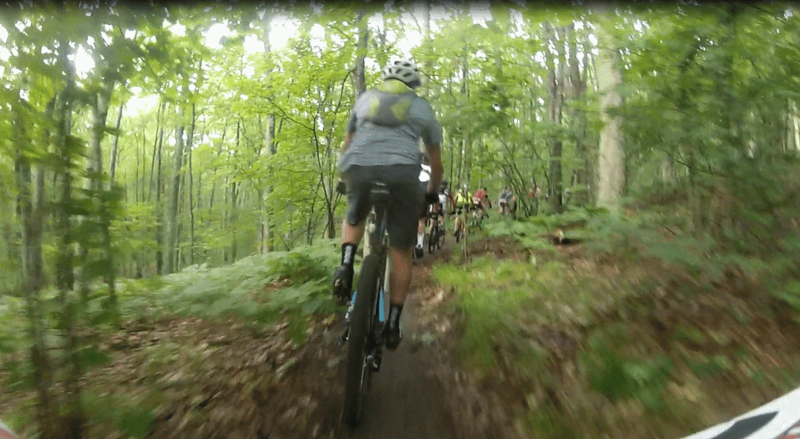 The only issue with 400 people racing on singletrack is the bottleneck at the start. Two miles on pavement strung us out a bit (good call on have a prime 3 miles into the race, promoter-man! ), but it was still a game of foot-down at the entrance to the trail. I stayed in the game, but then realized I was behind not one but TWO tandems, which should tell you how aggressively I had raced the first two miles. This is a tandem mountain bike. I should get around. Luckily though, we are racing ALL DAY, this does not matter. Lap one was mainly staring at people's butts and being kind of antsy about it, but recognizing that this was actually a good thing (tm) in the grand scheme of things, in that I wasn't riding XC race pace for the first two hours like some people (Jesse) were. I was, however, steadily moving up, as people settled into their own versions of "all day pace" and it turned out to be...even slower than my own. I tried to eat my traditional "breakfast sandwich breakfast" on the first road section and it did not go down very well. I either need to abandon this strategy, or find a way to make bacon, egg and cheese sandwiches wetter. I'm still in contact with the front group! or something! As lap one (the course is three 33-mile laps, did I mention that?) wore on, traffic got lighter and eventually I found myself no longer leaping from wheel-in-my-way to wheel-in-my-way, but actually towing a group in clear air for quite a while. From eyeballing the course map, I knew we were into the "final section" of the lap, but it turns out that section is thirty minutes of riding and the hilliest part of the whole course, so it seemed like it went on FOREVER. I dropped most of the people on my wheel during this time and also made myself hurt enough that I was really glad I had been bottled up in traffic for the first two hours, because smashing up hills rather than shifting feels dangerously good on this course. At the end of lap one I took basically the slowest pit stop ever, where somehow my Strava reports it took me 3:18 of stopped time to fill a camelback, add drink mix, and take a sub out of the cooler and put it in my pack. Pretty much everyone I had dropped in the last ten miles caught me here. Lap two was the traditional "we've been riding long enough I've lost my edge, and there's too far to go to start thinking about being done" phase of a hundred miler, where you just keep knocking off the miles and trying not to think about time. 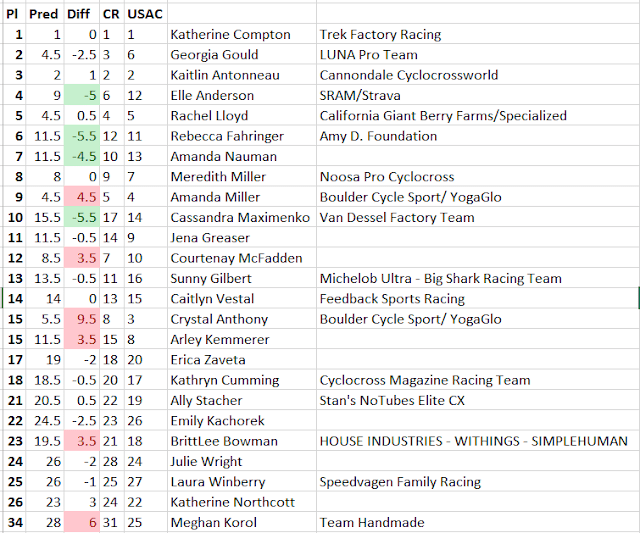 I ate my six-inch sub on the back of a six rider paceline on the dirt road section and I was SO PROUD of myself. No one in line ever turned around to see how AWESOME my lunch was which really bummed me out, because I like attention (he said, writing a blog post about himself doing his hobby for the 300th time in his life). Like every group I had ridden in, this six-rider group was going a bit slower than I *could* go, but probably the pace I *should* go, so I hung out here for quite a while. These guys were good at pedaling, but not so good at carving turns, and it was frustrating, so coming into one of the more carvier sections of the course I took the lead and went haaaaahd. They were out of sight quickly, which was great, because it gave me some alone time to think about how much my bad knee hurt and how I still had 45 miles to ride. Alone with my increasingly disturbing knee pain I finally decided to stop and raise my saddle 0.5cm (thanks, marked seatpost! ), which ended up TOTALLY solving the problem, but took me five seconds too long as the group of dudes I had been riding with before went past right as I remounted. Then I tried to ride away from them on the flat doubletrack section, and the flat, straight trail after that, and that didn't work AT ALL! I buried myself for ten minutes only to look back and see five very relaxed guys ten seconds back at best. Sigh. After that I went into full cx mode and hung out at the back of the group, recovering while planning my next attack. Someone else in the group had possibly doing the same thing, because he TOOK OFF in the end-of-lap-hilly-part. I eventually chased and caught him, but it was legitimately hurty and then the lap ended and it was pit stop time and I think he got away. My 2nd pit stop was a lot more efficient because I had let the more-coherent-than-me ladies at the halfway aid station fill my camelback for me. Still I somehow managed to have 1:15 stopped time, even though all I really needed to do was take a bottle of coke out of the cooler. Oh and I also had to move Jesse's whiskey bottle which was in the way. What, you don't drink whiskey in hundies? What are you, soft?? 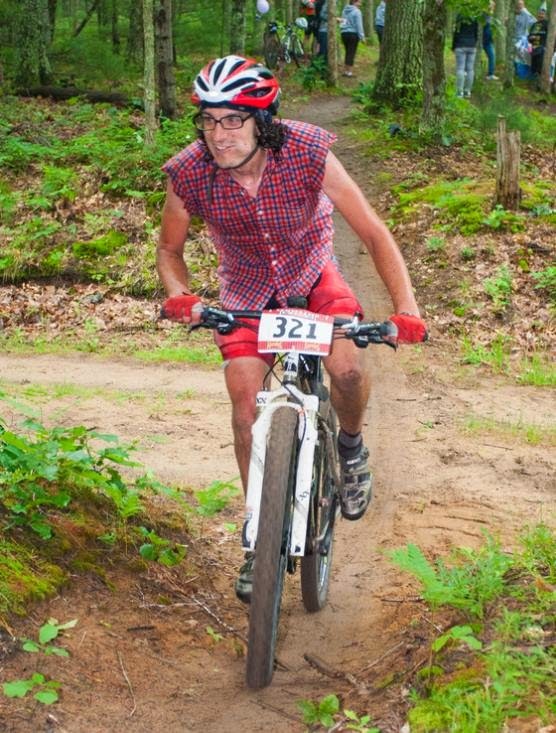 You probably also don't race in a cutoff flannel shirt with pockets made out of sleeves the night before, then, either. Unfortunately, when you go out at race pace and drink whiskey at your pit stops, reality eventually does catch up with you (thank god). At my 2nd pit the people next to me said "your friend in the flannel just left, and he's not looking good," to which I replied "eeeeeexcellent." Then I kept on third-lappin', which meant I was finally riding as hard as I could, because we're almost done! Where "almost" means "within 33 miles and 2.5 hours of being done!" Turns out this pace was exactly as fast as my first lap's pace of "super chill," and my last lap ended up being only 50 seconds slower than my first lap. I knew it was time for the race to be over, because I had been passing people easily for most of the third lap when I caught up to yet-another-dude-I-was-surely-going-to-pass. I thought about going right by him, but there was a double track section coming up, so I decided to wait and we could work together on the double track. On said double track, I took exactly ONE PULL before getting back on his wheel, and then stared at his wheel for the final eight miles of the race while praying for it to end. It was so sad that I even told him, on the final climb, "I won't sprint you after drafting for this long, don't worry about it," and you know that means something since I am a professional sit-on-your-wheel-and-nip-you-at-the-line racer. I finished in 7:47, 42nd overall (still over an hour out of first, jaysus), and then staggered around bumping into things for the next hour while getting bit by mosquitoes. Christin was the fifth overall woman after one lap... that she did nearly without eating or drinking... so she was actually there at the finish line to greet me, which was sweet. *Star Wars reference note: the actual Speeder Bike chase scene happens on the "forest moon of Endor," not Endor, I know. But everyone just calls it Endor now, 30 years later. Thanks for nothing, George Lucas. ** Jesse managed to hang in there quite admirably and finish in 7:59, 56th overall! This sounds like FUN. I'm glad the Midwest treated you well. 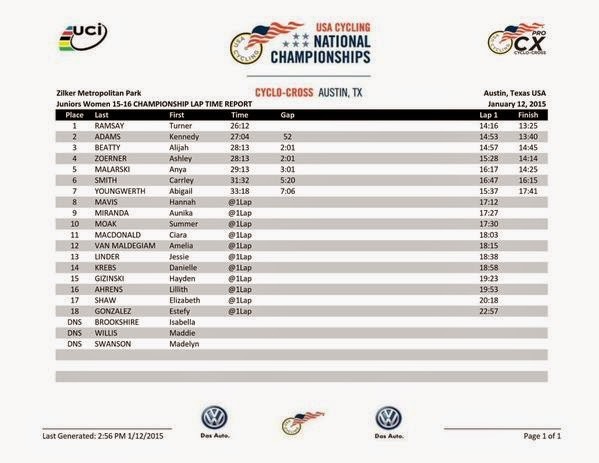 My internet friend Danielle Musto took the win, and appears to have had her usual great time doing it. I'm off to my first-ever MTB race today - a 99-miler in northern Minnesota. 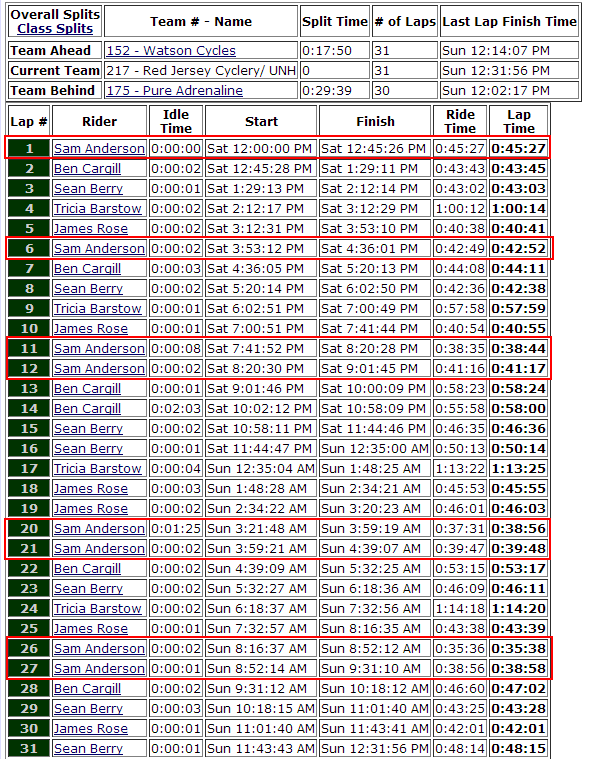 This awesome race report only raises my stoke. Sounds like a great race, love the report.